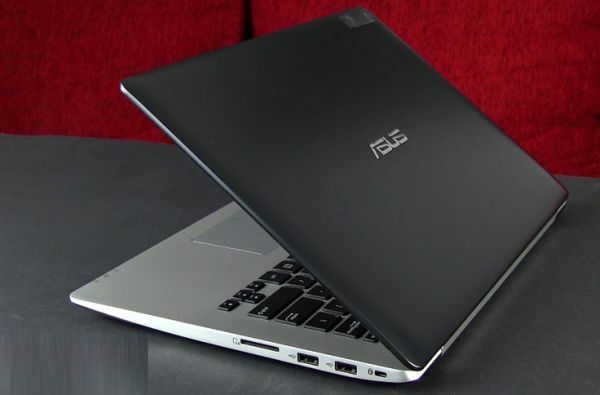 The Asus Vivobook S301 is designed with value in mind and as such comes with some compromises in certain areas while providing some good features for the class of device. Its worth nothing that Ultrabookreview does state that their review unit is a pre-production PR model so some of their performance test results may not be indicative of the final product but that doesn’t impact their opinion on other aspects of the device. On the plus side the S301 is well built, comes with a good set of connectivity options (802.11n WiFi, Bluetooth, Gigabit Ethernet, 3 USB ports, SD card reader and a full HDMI port) and is configurable up to a Core i7 4500U, 1TB HDD, 8 GB RAM and Intel HD 4400 with AMD Radeon Mobility 8530G discrete graphics, and weighs 1.75 kg (3.8 pounds) with its 2 cell 38Whr battery. External dimensions are 12.9 x 9.1? x 0.8?. Counting against it are the display which comes with a resolution of 1366×768 with no HD option and rated as not being of the highest quality with viewing angles and contrast not faring well, no backlit keyboard, no SSD option (though access to upgrade to upgrade the HDD is possible), spotty Wi-Fi performance and low battery life, though the performance issues could be due to the pre-pro nature of the device. 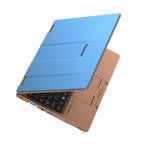 Overall though the review finds the device to offer good value for money and come away with a favorable impression of the Ultrabook. 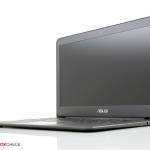 Pricing starts at $699 for the base model with a Core i3 processor, 500 GB HDD, 4 GB RAM and Intel HD 4400 graphics. Backwards-looking features; honestly the default configuration makes no sense. No laptop should come with a 1366×768 screen in 2013; it’s ridiculious; why bother with Haswell when it’s unnecessary in that screen resolution? 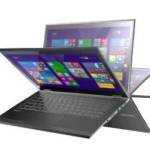 -Just save some $$ and buy an Ivybridge laptop if that’s the res and battery life that you’re going to get. All modern mobile devices should actually be mobile, meaning great battery life, at least a hybrid SSD for an almost instant-on experience, and fantastic WIFI signal; all Windows devices should further have plenty of ports (this one manages that) and Win8 gesture-enabled trackpads (I’m guessing it manages that). Even tablets @ half this price manage much better screens; there’s no excuse for that screen. The AMD Radeon graphics REALLY makes no sense in a machine with Haswell and that low of resolution; it’s simply not usable. Honestly I really like the look of the Vivobooks, the port options, and that they went with Haswell but the base configuration is as backwards looking as possible. We seem to continue to have a lot of crap scraping the bottom of the barrel and a lot of ridiculiously expensive hardware at the top-end and the sweet spot in the mobile middle is still mainly absent. -January / February can’t come soon enough! « Ultra Mobile Reporting Kit V12. No Cables.